Ozark fans can now have their own Lickety Splitz T-Shirt. 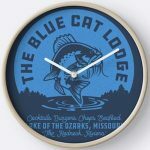 You can get this Ozark t-shirt in white, blue, and black and it comes in men’s sizes Small – 3XL and it is made from 100% preshrunk cotton. On the shirt you can see two pole dancers and then there is the text “Gentlemen’s Club Lickety Splitz Lake Ozark, Missouri”. 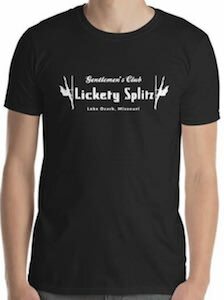 So now you can have a shirt from the famous bar that is used to launder the money on the Netflix show and if you like to have a t-shirt about a club where girls dance for dollar bills then this Lickety Splitz t-shirt could be just what a true Ozark fan need.